Suitable for modern and traditional locations. Constructed from zinc plated steel. Gates are suitable for non standard openings. Manufactured from corrosion resistant zinc plated steel the Verona metal driveway gates will add an eye catching statement to the entrance of any style of property. Featuring adjustable hinges (supplied separately) they can be fitted to a variety of non standard opening widths meaning they are a great alternative to made to measure drive gates. Visually appealing double gates are suitable for many styles of modern architecture. Suitable for a range of non standard opening widths. Zinc plated steel components ensures protection against the elements. 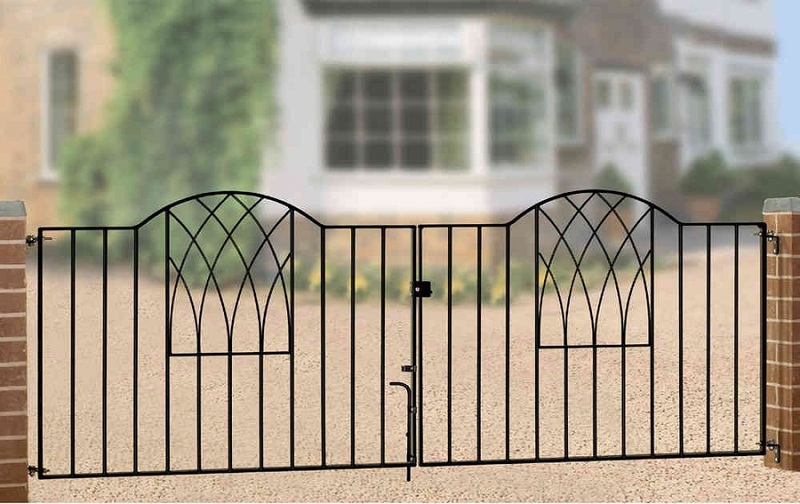 Verona metal driveway gates have a black powder coated finish. Constructed with 25mm x 6mm frames, 10mm infill bars and 6mm decorative panels. Supplied with the hinges, latch and drop bolt. 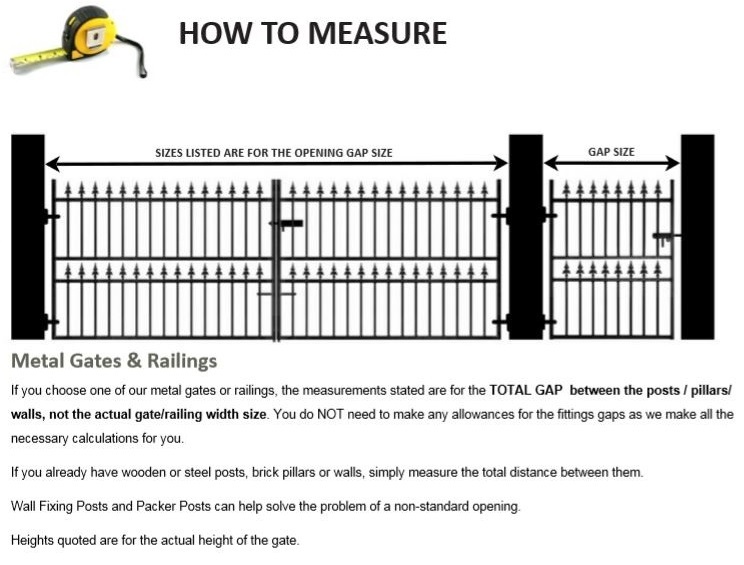 Having trouble selecting the correct size Verona steel entrance gates? Take a look our guide showing how to select the correct size, read the FAQ`s or call us now on 0844 804 5577 to speak to us in person.